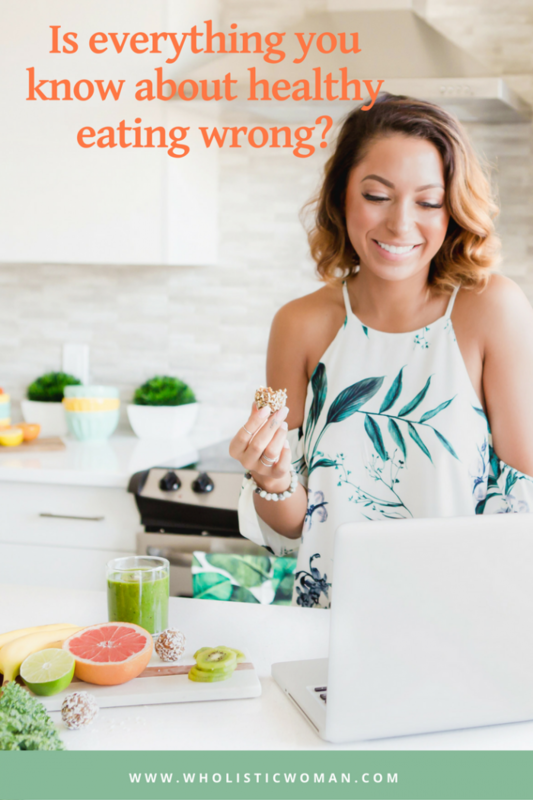 You are here: Home / Weight Loss / Is Everything You Know About Healthy Eating Wrong? This time of year it seems like everyone is a health and nutrition expert. And every article makes you think that Everything You Think You Know About Healthy Eating is Wrong and it’s Making You Fat and Tired. Good grief, it’s enough to drive anyone to drink and have a box of chocolates. Nutrition and diet information is everywhere, but it all boils down to this: Eat less, exercise more. Right? 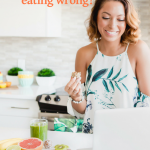 Mindful eating means to take smaller bites, eat slowly, chew thoroughly, and savur every bite. Notice and appreciate the smell, taste and texture. Breathe. Tip: Smoothies are the ultimate recipe for substitutions. Try swapping different greens, fruit or seeds to match your preference. Bonus: Chia seeds not only have fiber and essential omega-3 fatty acids but they contain all of the essential amino acids from protein. Want to jump start your new year? Join the Healthy Eating Challenge!